You likely already know that you have an internal biome, which is made up of billions of organisms that call your intestines home. What you may not be aware of is that there is another ecosystem thriving on the outside of your body. According to Marla Ahlgrimm, eyelash mites are just one of the many creatures that live on you, and they are more common in women than men. Marla Ahlgrimm explains that eyelash mites, which are known among medical professionals as Demodex folliculorum and Demodex brevis, are naked to the human eye, and are perfectly normal. The retired women’s healthcare entrepreneur explains that these tiny mites live around the eyelash follicles and feed on oil and mucus, which are secreted from glands surrounding the eyes, and from facial pores. Women with oily skin and those who habitually sleep in their makeup are more prone to these invisible intruders. 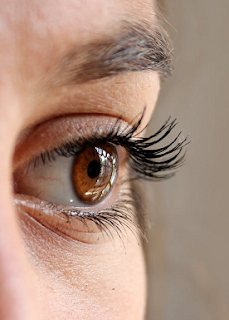 Although eyelash mites are found on perfectly healthy people, conditions that affect the mucous membrane of the eye and create inflammation and irritation can trigger an increase in their population. Marla Ahlgrimm also explains that cleaning your face regularly, both at night and in the morning, can reduce the facial oils these creatures need to survive. Eyelash mites do not cause irritation. However, chronic watery or red eyes may indicate a problem that needs medical intervention. By reducing bacteria, Marla Ahlgrimm asserts that you can reduce eye secretions and therefore lower the number of uninvited guests living on your eyes. Marla Ahlgrimm says women should wash their face daily using a non-abrasive cleanser and lukewarm water. Scrubbing is not necessary and may trigger further irritation. The face should also be washed after sweating to reduce perspiration and oil secretions.